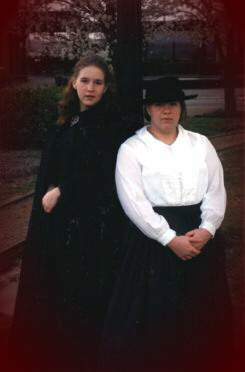 On Labor Day weekend of 1995 at a Civil War Reenactment in Decatur, AL, the Poor Singer's Association was born. After 2 years of friendship and singing together, Rebecca and I decided to try and make a little pocket cash by singing at reenactments for donations. After a glorious $20, we thought long and hard about continuing the project. Within the next 3 years, we became much in demand, and now, after several $25-$80 weekends, we've decided to fulfill the requests of our fans and go international with our voices. For your listening enjoyment, the Poor Singer's Association has released our first tape, "Going Home". 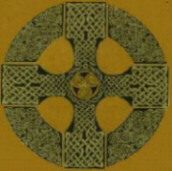 The tape consists of Civil War and Celtic ballads and battle songs. Please enjoy visiting our page.